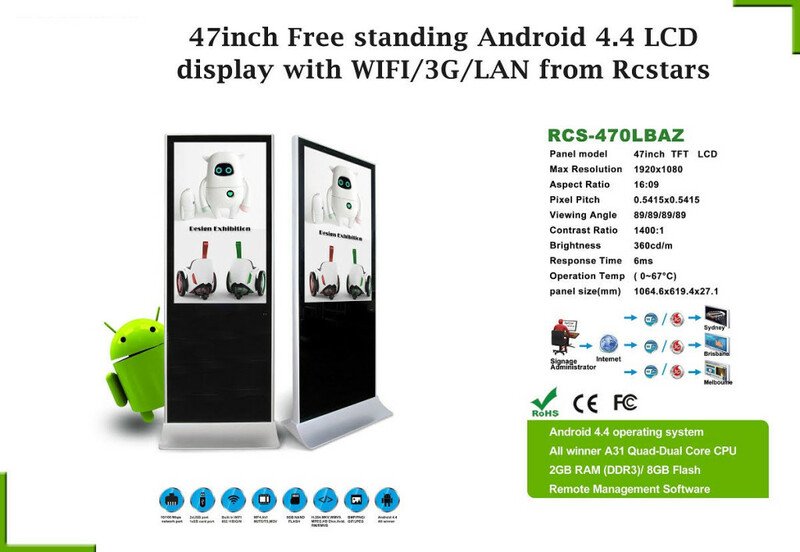 47 inch Free Standing Android 4.4 LCD display. All winner A31 Quad-Dual Core CPU. Sunday was the 30th anniversary of the .com web domain which was created in 1985.